If you worked 12 hours a day, seven days a week, from, let’s say, 9 a.m. to 9 p.m., forgoing basically all time at home save for a few hours in the morning and a few after work before collapsing from exhaustion and waking up the next day at 7 to go back to your workplace (with realistically no hope of seeing anyone outside of work or home), you’d be working an 84-hour workweek. 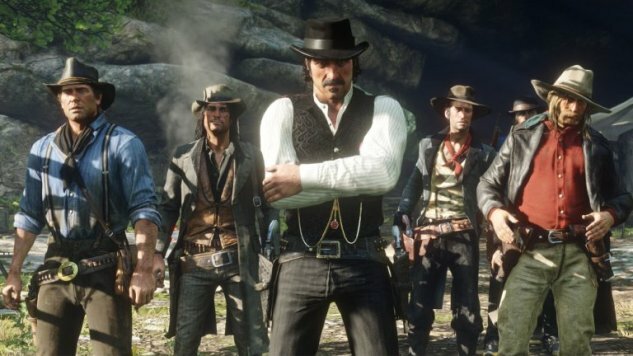 That quote comes from a lengthy and fawning article written by Harold Goldberg over at Vulture last week, titled “How the West Was Digitized: The making of Rockstar Games’ Red Dead Redemption 2.” It’s clear in the framing of the workweek comment Houser was meaning it as a point of pride—something that his team can be proud of, since they worked their butts off making their game. To Houser’s credit, he issued a clarifying statement to Kotaku one day after the Vulture article, stating that the 100-hour comment was meant to only refer to the core writing team and not necessarily anyone else at the company. “No one, senior or junior, is ever forced to work hard,” Houser wrote. But there’s something insidious about Houser’s tone in the Vulture piece, that notion that long working hours are something to be effusively proud of, especially in the high-profile, AAA games industry. It’s baked into the mindset of the industry, that working for games is in itself a privilege and thus any subpar working conditions are a fair price to pay for the opportunity to do a job that is sold as play. Houser’s clarification might be accurate. He, and his team, might be the only people at Rockstar who worked 100-hour weeks. I haven’t verified that anyone else worked those (backbreaking, life-halting) hours, and the cloud of secrecy that permeates the industry makes it hard to do so. But that’s not really the problem that I want to address. The problem is that when Houser boasted about that that hourly mark, he was playing into the same ideas that push studios into overworking their employees. He was perpetuating the beliefs that lead to crunch, underpayment, burnout, and other labor issues that plague the industry—that nothing is more important than the passion, and what shows more passion for a project than working on it until you drop? Regardless of the material truth of his statement, the fact that he meant it as an accolade, as something worthy of praise, is in itself disgraceful. If you choose to work that many hours for yourself, I would call that cause for alarm, if not blatant mismanagement. If someone is being told to work that many hours (god forbid) that is certainly a case of labor abuse, even if not defined strictly as such by the law. We owe it to ourselves as a community, and to those forced into unsafe and unhealthy labor conditions, to not accept these platitudes of high working hours as something praiseworthy. It’s not proof that a development team is passionate about its game, but instead that its members are being abused and exploited by management. It is a sign of something terrible if we let these comments pass without interrogating them. We need to do better. And that means going home, getting rest, getting time outside of work. It means shorter workweeks, even if games get delayed. It means fighting for healthier development practices. It means absolutely no applause for 100-hour weeks.